What reasons for diabetes and Types of diabetes? Bad food: eating more fat food, eating non-fiber food and junk food has a bad effect on the digestive tract and pancreas. By eating such food, pancreas becomes unhealthy and produces less insulin, stops building. High intake of sweet: By eating more sweet, our weight increases fast and people with high weight are more at risk of getting diabetes. Increasing age: As the age progresses, there are many changes in the body; one of them is the low of insulin. Older people often see this disease. Hereditary reason: If your parents have this disease then there are possibilities that you may also have this disease. Pregnancy: A pregnant woman may also have diabetes. During pregnancy, the body can not respond to insulin which can lead to diabetes. Type 1 diabetes occurs in humans when insulin production is low or production stops. In this situation, man has to resort to artificial insulin. It is available in the form of injections and medicines in medical centers. Pancreas in type 2 diabetes produce insulin, but beta cells are unable to use them due to inactivation. This is due to diabetic beta cells becoming inactive. This type of diabetes can occur to pregnant women. This situation arises when the body of a pregnant woman becomes less sensitized to insulin. It does not happen to every pregnant woman. This type of diabetes is temporary and after giving birth to the baby it gets cured. Treatment of diabetes by jambu fruit is a very delicious fruit and it contains many types of nutrients. Such as carbohydrates, proteins, fats, vitamins A, vitamin B, vitamin C, gualic acid, melic acid, tannins, and oxalic acid. Therefore, it also serves an Ayurvedic medicine. 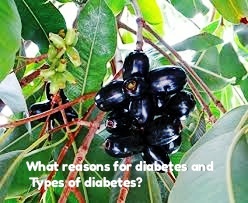 In the following section it has been reported that how the seeds of jamun helps in correcting diabetes. In the seeds of Jamun, there are elements named Jambolin and Jambosin which have the ability to stop starch from switching into sugar. If it is consumed, it will not let the starch reaching through food in the body of the person in glucose, which will keep the amount of sugar or glucose balanced in the blood. Q.WHAT IS Children 6 to 10 years old. Q. Tell the treatment of torn edges?